Azerbaijan which is deliberately taking steps to promote local products and make its brand recognizable abroad organizes more and more export missions to the promising markets. So, another export mission of Azerbaijan will travel to Doha, the capital of Qataron April 12-16, Report informs referring to the Azerbaijani Economy Ministry. It is noted that the main purpose of the visit of the export mission is to promote the Made in Azerbaijan brand, to expand the export opportunities of the domesticproducts. As many as 25 companies operating in such areas as food and textile industry, construction materials, as well as travel companies are involved in the mission. Familiarization with local supermarket chains will also be part of the mission's visit program. President of AzerbaijanIlham Aliyev signed the Decree on large-scale promotion of local non-oil products in foreign marketson October 5, 2016. This Decree contains 10 different support mechanisms to stimulate exports and promote 'Made in Azerbaijan abroad. Depending on the support mechanisms, the costs relating to their realization are fully or partially covered by the state budget. Every exporter engaged in exporting of the local non-oil products has the right to apply for these support mechanisms. The trade turnover between Qatar and Azerbaijan is still low and amounted to $ 8 million, despite the fact that there are great opportunities for expansion of trade relations. 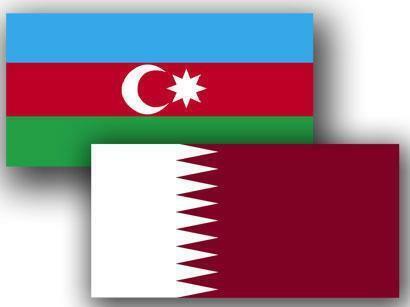 At present, Azerbaijan mainly exports food and agricultural products to Qatar. Taking into account recent popularity of Azerbaijan among Arab tourists as a travel destination, the South-Caucasian statemay further deepen relations in this area. First steps are being taken in thsi regard. For example, both countries have simplified visa procedures for each other. Moreover, there are 14 direct flights Baku-Doha operated by Qatar Airways per week. It's confirmed fact that within 11 months of last year, the largest increase among those who arrived was observed among the citizens of the countries of the Persian Gulf. Compared to January-November 2017, the number of Saudi Arabian citizens who arrived in the country increased by 2.2 times, Bahrain citizens - 2.1 times, Kuwait - 1.9 times, Qatar - 1.6 times, Iraq - 10.4 percent, Oman - 8.5 percent.